Thousands of people and boats are expected to crowd the Burlington waterfront Saturday and Sunday for the Wings over Vermont air show. 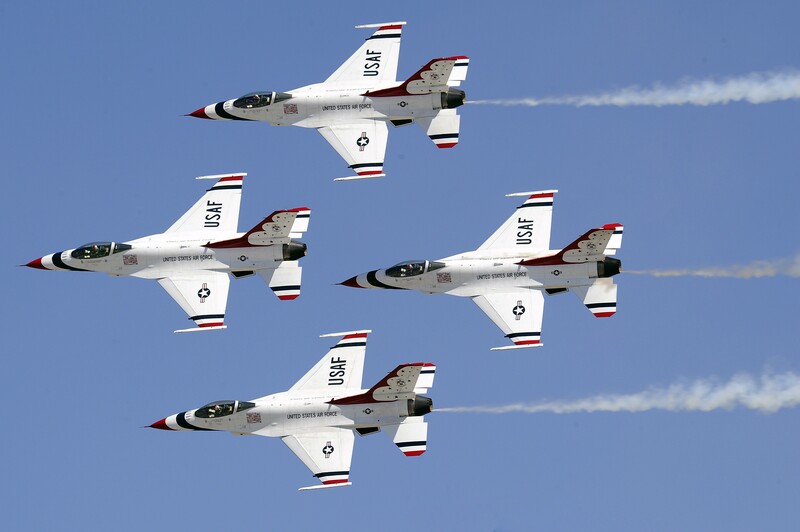 The U.S. Air Force Thunderbirds and vintage aircraft will wow crowds. But you won’t see the Vermont Flight Academy among the list of sponsors. The local pilot training school, based at Burlington International Airport, paid to have a table with promotional material on the waterfront during the aviation extravaganza. “At the last minute we got notified that they said they had a contractual arrangement that prohibited us from participating in the show,” said Ed Antczak, executive director of the academy. It turned out the air show producers had sold an exclusive training school sponsorship to Milton-based Mansfield Heliflight, a helicopter sales, tour and pilot-training company. The Vermont Flight Academy was initially not seen as a competitor, but was subsequently informed by 2016 Wings Over Vermont chair Phil Murdock that it was being viewed as a competitor and couldn’t be a sponsor. Murdock apologized to the academy. While disappointing, the disinvitation was essentially a mix up, said Antczak, who added that he understands why Mansfield Helifight did not want to give up an exclusive sponsorship after paying for it. Meanwhile, Burlingtonians can expect lots of loud jet engines and large crowds as the U.S. Navy F/A-18 Super Hornet Tactical Demonstration Team and other aircraft do their exploits over Waterfront Park and the Burlington harbor.